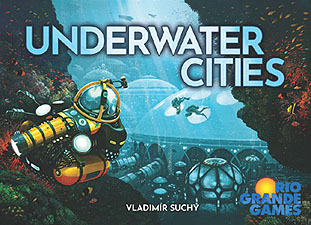 Players direct the founding of their own underwater nations. They collect resources to build cities a transportation network, and the facilities necessary to support the life under the sea. Everything is accomplished by playing cards to choose various actions. If the card matches the action, the player also gains a benefit from the card. At times, the action may be so important that the player will choose it even with a non-matching card. At other times, the benefit of the card may be so good that any action is acceptable as long as the card matches it. Balancing these choices is the key to building an underwater habitat in which humanity can thrive.